Coconut water is actually the juice present inside the interior cavity of young, tender fruit. It is one of the nature’s most refreshing drinks, consumed worldwide for its nutritious and healthiness properties. 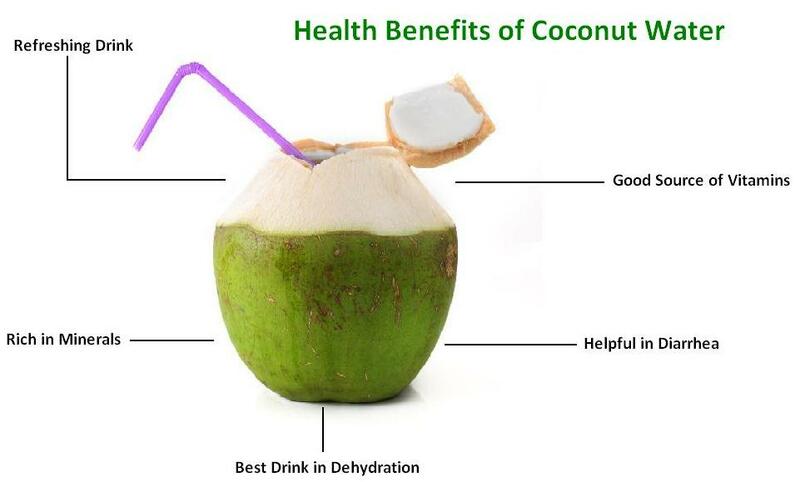 Let’s see some of the common health benefits of coconut water here on this page. It is one of universally appealing drink. It is composed of many naturally occurring bioactive enzymes, simple sugars, electrolytes, and vitamins. It is not only cherished in healthy but considered safe in pregnancy, infants as well as in diseased conditionsCoconuts tree may yield several hundreds of tender nuts each season. Different species of its palms are grown all over the tropics. Naturally, their taste and flavor show variations according to saline content in the soil, distance from the seashore, climate, etc. It is a very refreshing drink to beat tropical summer thirst. It’s liquid is packed with simple sugars, electrolytes, and minerals to replenish dehydration conditions inside the human body. It’s liquid is also a very good source of B-complex vitamins such as riboflavin, niacin, thiamin, pyridoxine, and folates. These vitamins are essential in the sense that the human body requires them from external sources to replenish. Despite being very light in consistency, it has proportionately a better composition of minerals like calcium, iron, manganese, magnesium, and zinc than some of the fruit juices like oranges. Coconuts water has been generally offered to patients with diarrhea in many tropic regions to replace the fluid loss from the gastrointestinal tract and to reduce the need for hospitalization. The presence of other biological constituents like amino acids, enzymes, minerals, and fatty acids may account for this higher osmolarity. 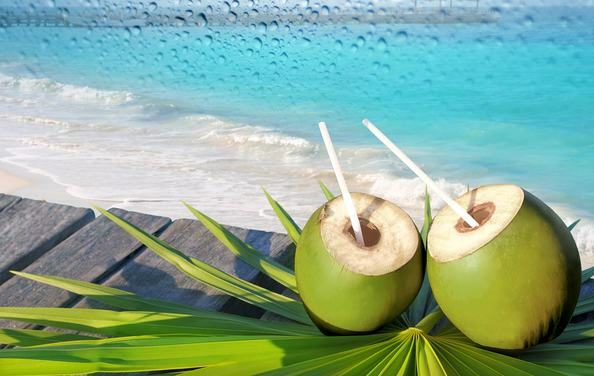 Nonetheless, unlike WHO-ORS, coconuts drink is very low in sodium and chlorides, but rich in sugars and amino acids. This well-balanced fluid composition, along with much-needed calories, would be an ideal juice instead of any other kind of soft drink beverages available in the markets to correct dehydration conditions.